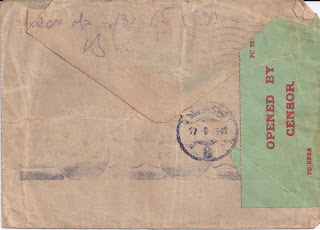 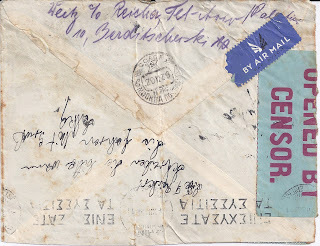 This Blog continues the story introduced in the previous two Blogs, looking at letters at the beginning of World War Two following routes which would soon be closed down. 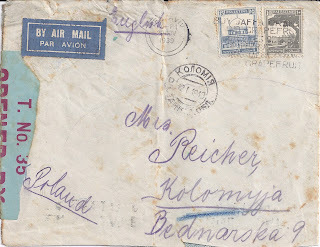 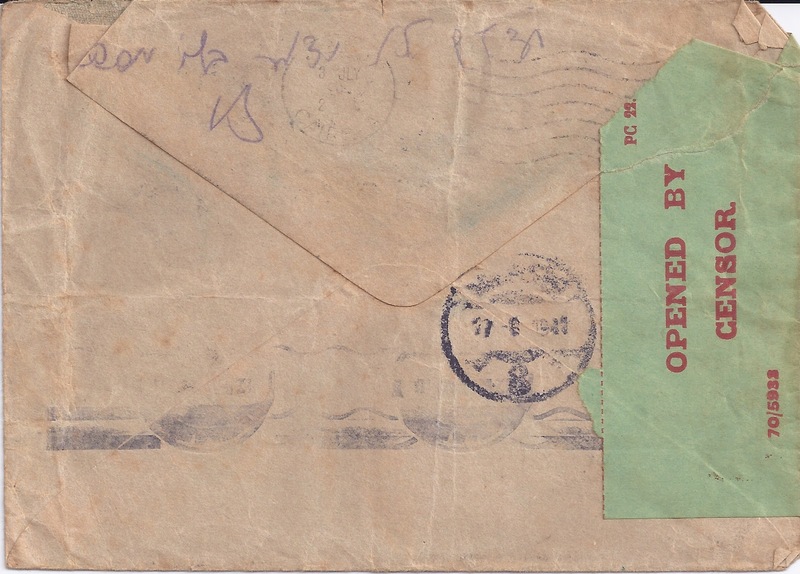 The first cover shown below was sent Air Mail from TEL AVIV 29 NOV 1939 and addressed in English to "Kolomyja" in Poland - though at this point, already in Russian Occupied Eastern Poland. 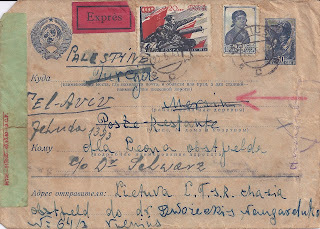 Censored in Tel Aviv it was routed via Athens - the roller cancel on the reverse is dated 4 XII ... From Athens it travelled to Moscow - a MOSKVA 20 12 39 transit mark also appears on the reverse. Interesting about the first cover's stamp for Kolomyja is that it is written in Ukrainian rather than Russian. 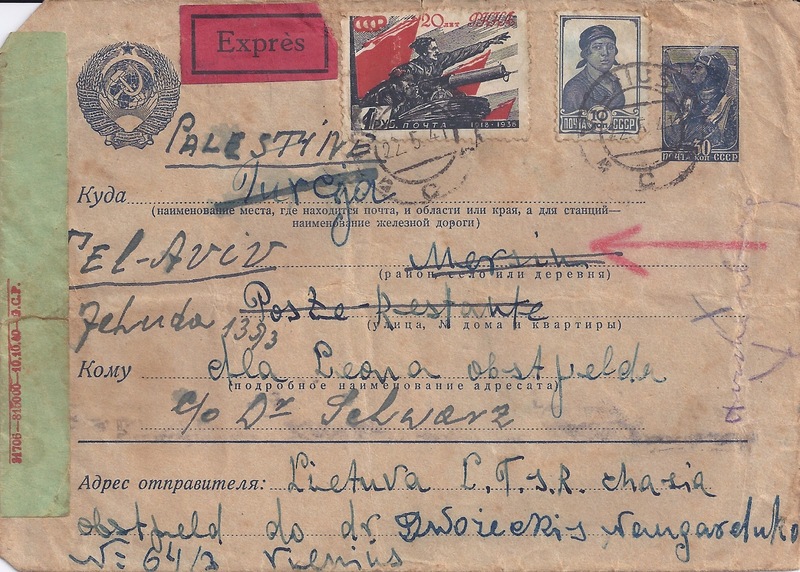 This, despite Stalin's crackdown on non-Russian language and culture from the mid-1930s, and the swift takeover of local institutions in the occupied territories by party functionaries!